J Street UChicago members protest Danny Danon, Israel's ambassador to the UN. The University of Chicago hosted day one of the Israel Summit at Chicago, a start-up tech fair and speaker session. Saturday’s speakers included Israel’s Permanent Representative to the United Nations Danny Danon, Innovation: Africa CEO Sivan Ya’ari, and Director of International Relations and Development at the Israeli Mental Health Association Liron David. Aimed at “[showcasing] the global impacts of Israel by highlighting Israeli innovation in the fields of technology, business and finance, medicine, humanitarian aid, and civil liberties,” the Summit introduced a broad spectrum of Israeli start-up projects. The day consisted of morning and afternoon speaker sessions with a tech fair over lunch. Morning sessions featured Innovation: Africa, IsraAID, and Save a Child’s Heart, followed by afternoon sessions with medical training video game company Level Ex, drone insurance company Skywatch, Israeli startup network Spetz, a panel on business and tech, and housing shortage and gentrification response resource UpCommunity. A largely apolitical event designed for students to learn from and network with Israeli innovators, the Summit invited one speaker with known political affiliations, Ambassador Danon, who was met with protest. As Danon is a member of the right-wing Likud party, many oppose his rejection of a two-state solution and his stance on Palestinian rights. 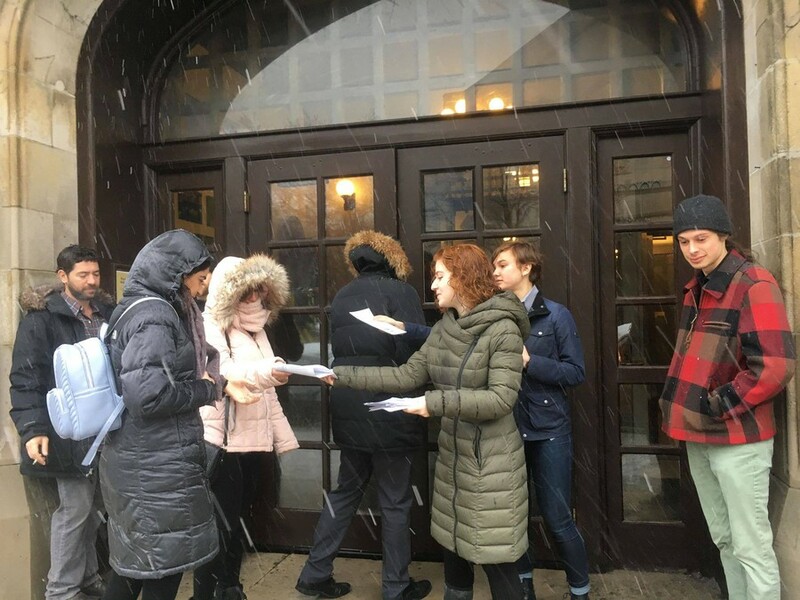 Six protestors positioned themselves outside Mandel Hall, where Danon’s event was to take place, with signs stating, “Danon does not speak for me.” Protestors were asked several times and eventually convinced by a professor to leave the event. Second-year Yakir Zwebner, director of the Israel Summit, said that the Summit invited Danon to speak about his experiences "representing Israel and its important world impact on a global stage." Danon’s remarks only lasted seven minutes of the two-and-a-half-hour morning session, which largely focused on Innovation: Africa, a nonprofit bringing Israeli solar and water technologies to remote African villages. The ambassador’s comments centered on the broad implications of those participating in the Summit for Israel as a force for global innovation. “Always people say, ‘You are the problem, you are the problem.’ Now they come to us to seek answers, and we are here to answer,” Danon said. Danon also shared his confidence in Israel’s future success as a global innovator. “The beauty of Israel is that despite those challenges and all those problems that we have, we are able to develop, we are able to think, we are able to be creative, and we are able to offer solutions to the world,” Danon said. Update April 16, 8:47 p.m.: The article has been updated to include quotes from organizers of the Israel Summit at the University of Chicago.